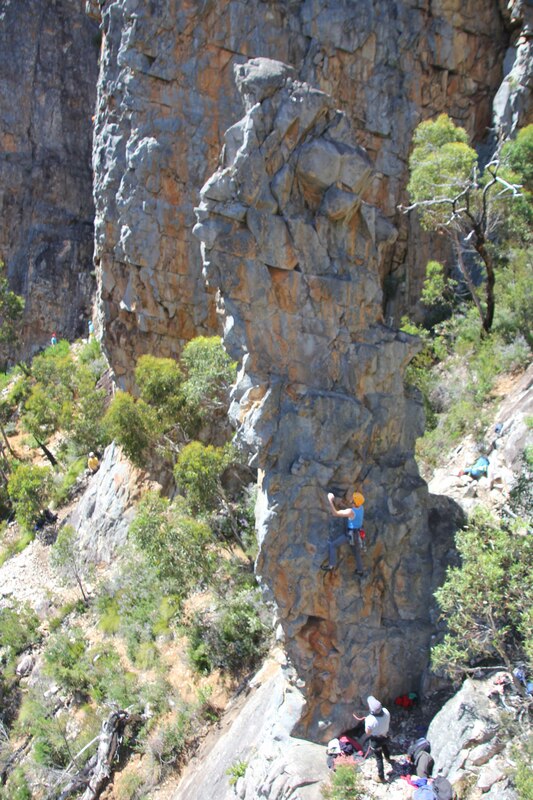 Dreamtime provides a really different climbing experience to that found in other parts of the Grampians and Mt Arapiles. ?There are numerous easy and mid-grade sport routes, as well as some harder ones. Dreamtime also has some of the longest sport routes in Victoria. The climbing itself is varied, from blocky walls to stunning arêtes. Dreamtime holds are often facing the “wrong way”, leading to engaging climbing and quite thoughtful cruxes. As with the Sports 101 and 202 trips last year, the focus will be on leading, not seconding. This trip is about taking the next step and pushing your leading on sport routes. ?In the terms of VCC Club Trips, you need to be an Advanced Climber. This long weekend trip will provide ample time for you to “work” a more challenging route and then hopefully “tick it” on the trip. We will be “bush camping” near the crag. BYO water and shovel. The Trip Leaders, Michael O’Reilly and Ross Timms, will be joined by Josef Goding, the main developer of the crag. Josef will act as our personal guide to Dreamtime. Numbers on this trip will be limited, so contact Michael O’Reilly early to secure your place.